Reading is the perfect way to extend vocabulary and enhance the students' 'feel' for the language, both at primary and middle school. Moreover, reading becomes fun with these amusing and familiar easy readers! The novels are a perfect basis for acting out scenes from the story, and stimulate talks with and about the students, thus providing an excellent way to stimulate speaking. This Spanish easy reader for beginners is the prequel to Pobre Ana Moderna. When Ana visits Guatemala with her dad, she learns to overcome many insecurities. 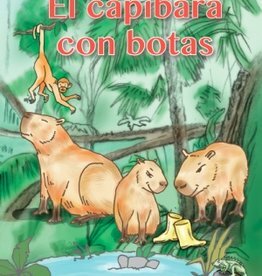 Fun Spanish easy reader for elementary/primary school. The 8-year old Isabela has many adventures that are totally compelling to younger students. Order now for more fun in class! Fun Spanish easy reader for elementary students. 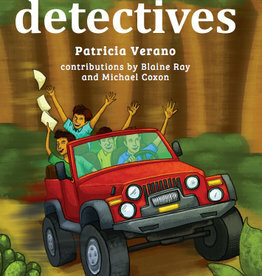 Alberto and Pedro are smarte and curious, which leads them into an adventure with wild animals. Spanish novel for beginners. Juliana is an albino bat. She is different, and feels excluded. But when the group is in danger, Juliana comes into action!